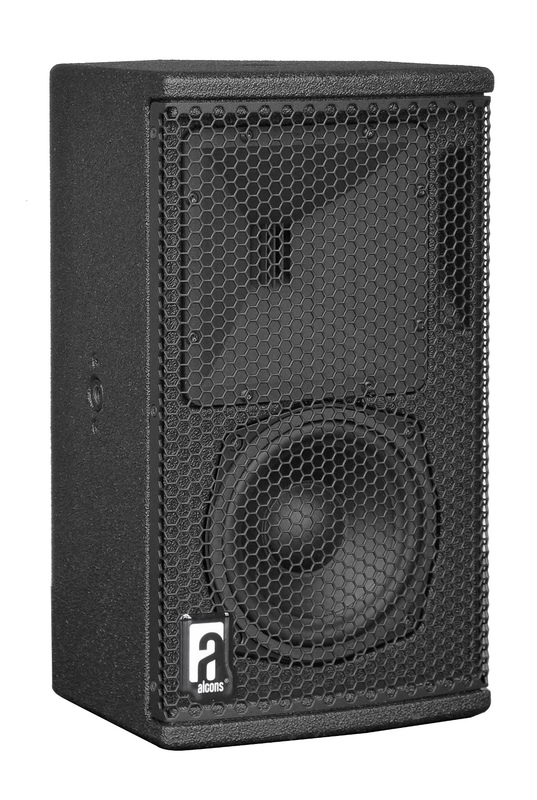 The VR5 is a 2-way mini versatile loudspeaker, specifically designed for near-field applications where ultimate fidelity response needs to be projected with wide horizontal and vertical coverage. The system brings the typical clear, dynamic and ultra-low distortion Alcons signature sound of the larger systems in a very small and unobtrusive package, for both portable and permanent applications. The VR5 consists of the RBN202 pro-ribbon driver for HF and a dedicated-designed 5” mid-bass for extremely low-distortion LF reproduction. The VR5 HF section has a 500 W peak power input, enabling a 1:16 dynamic range with up to 90% less distortion from 1 kHz to beyond 20 kHz. The patented (90-degrees) horizontal and patent-pending (60-degrees) vertical dispersion of the revolvable waveguide, offers a wide and consistent coverage up to the highest frequencies; Very important for the imaging in stereo or immersive systems. Due to the “compression-less” principle of the pro-ribbon transducer technology, the system has a fully linear response at any SPL, for an intuitive 1:1 “input=output” performance. For full system performance, the VR5 needs to be driven by an ALC amplified loudspeaker controller, delivering maximum sound quality with increased headroom and utmost operation reliability and flexibility. The Signal Integrity Sensing™ pre-wiring ensures dynamic cable/connector compensation between the VR5 and ALC, significantly increasing response accuracy, regardless of cable length and system impedance, with a tight and accurate mid and bass response as result. 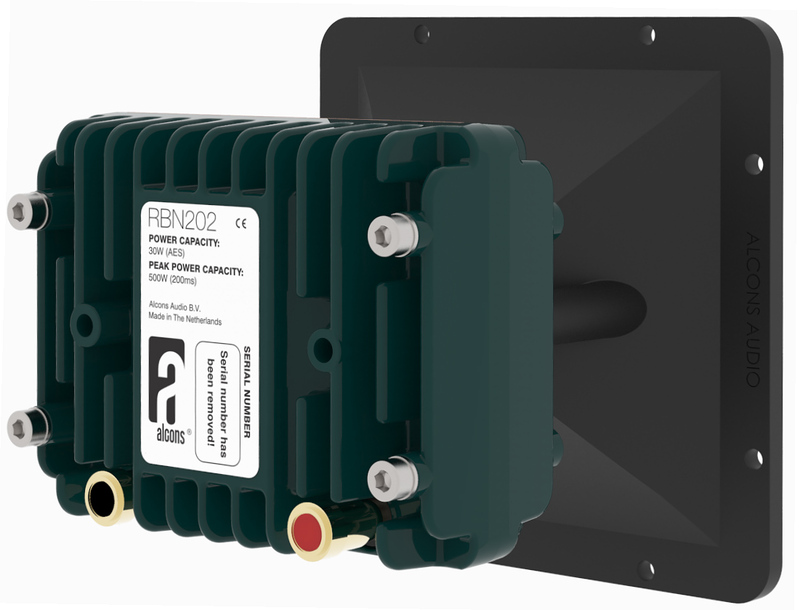 The combination of the asymmetric multi-angle enclosure, the revolvable waveguide and the ACO™ color option provides for inconspicuous low profile stage-, stand-, wall- or ceiling positioning. The 5 M10 mounting points enable swivel bracket, shoulder eye bolt and mic stand deployment. Typical (short to medium throw) applications for the VR5 range from reference monitor, low-profile stage-lip/front-fill, stage monitor, under-balcony system up to a nearfield main PA system, in combination with a separate subwoofer, if required. Tom Back, managing director: “Although the VR5 concept, as our smallest pro-ribbon system ever, was already previewed at this year’s ISE and as product introduced at the Prolight+Sound, we still had thoughts about taking “the next step” in the low frequency transducer. As we’ve been doing with most systems, as recently the 8” of the LR18 line-array, we consistently co-develop and implement the most-advanced technology on the cone-drivers, to have the best match with the pro-ribbons.